Home › (GM) General Musings › What if Jose Fernandez is the Next Mark Prior? Would you bet, check, or fold on this ace? What if the reason the Marlins are listening to offers for Jose Fernandez is because his track record looks a lot like Mark Prior’s? Could this be the smartest move made in a long time by a Marlins front office so infamous for making bad decisions? There are a great deal of overlaps, as you can see in the data below, between Fernandez and Prior at their first three years. Though in a smaller sample size, 23 games to be exact, Fernandez seems to posses even more potential than Prior showed. But are those 23 games missing from Fernandez’s resume a good thing or a bad thing for his future? 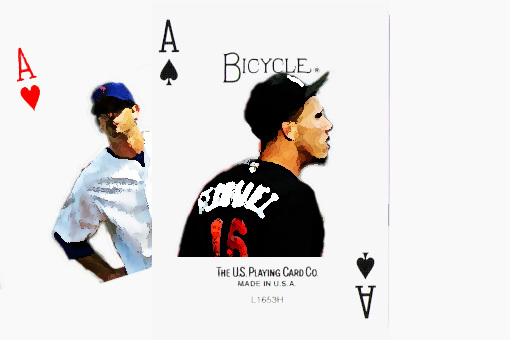 How should you play your Jose Fernandez ace card? According to Joe Madden’s twitter thoughts, Jose Fernandez was the best young pitcher he’d seen at that age, back in 2013. 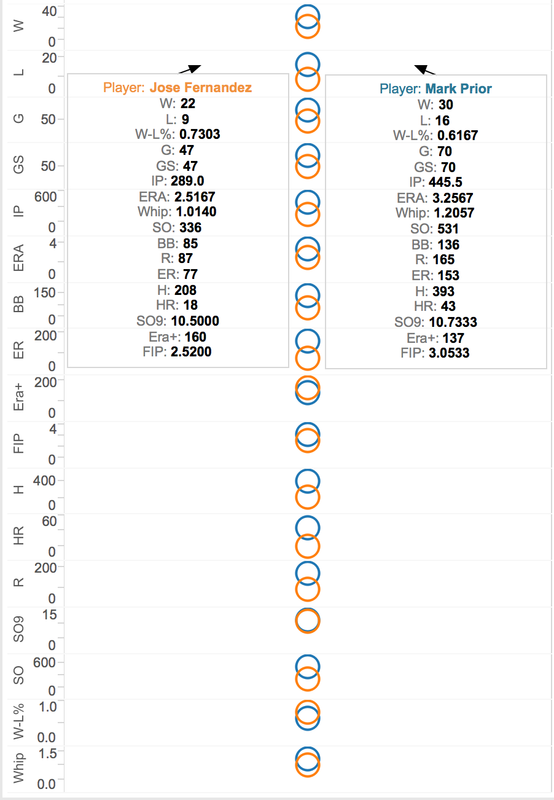 His 10.5 K/9 rate is incredible (and only .2 K/9 less than Prior’s at the end of year three), and his 2.51 ERA and 1.01 WHIP are also out of this world. But with just under 300 innings pitched and a Tommy John surgery under his belt, is he a card that should be held close to the chest or is he already an ace that should be thrown back into the pile in exchange for 2 (or 3 or 4) more? The parallels between Fernandez and Prior are a bit eerie. Both placed 3rd in the CY Young award voting after phenomenal starts to their careers, but had that success followed by some serious injury problems. And, in multiple 2016 simulation seasons in OOTP16, Fernandez had at least a 5 month injury (in one he had an 8-month season ender) on the same arm that underwent surgery. Even baseball-reference.com has Fernandez only pitching 97 innings in 2016, though I don’t know if they are predicting an injury, or merely assuming he will have a small workload as he returns from his previous injury. So do you hope for that you’re gonna get a real future of insane K/BB ratios and minimal HRs against, or are you ready to try and trade him now for a handful of other prospects? There’s been talk of a Dodgers trade that involves Julio Urias (and Joc Pederson? and Corey Seager?). Are the Yankees willing to part with Luis Severino and Aaron Judge? Either trade could really be a win for the Marlins in the long run. I just don’t have enough confidence in Fernandez’s health to risk a long term deal, if the alternative is to get a number of top-tier prospects.